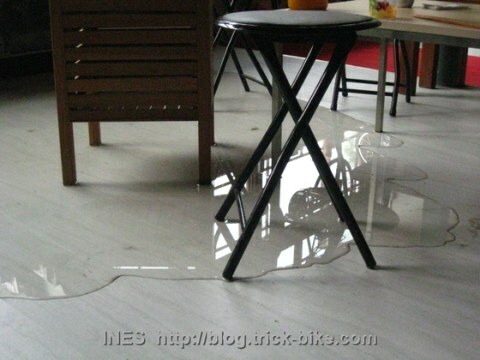 Well, some houses have some leaks like this hutong building. When I came in the morning I found a big puddle. The wooden floor is all wavey now 🙁 It took quite a while to get all the water into a bucket. 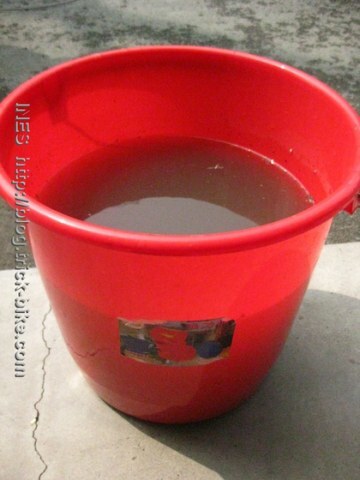 And the bucket was quite full in the end. This entry was posted on Freitag, Juli 31st, 2009 at 13:31 and is filed under Beijing, China. You can follow any responses to this entry through the RSS 2.0 feed. Both comments and pings are currently closed.